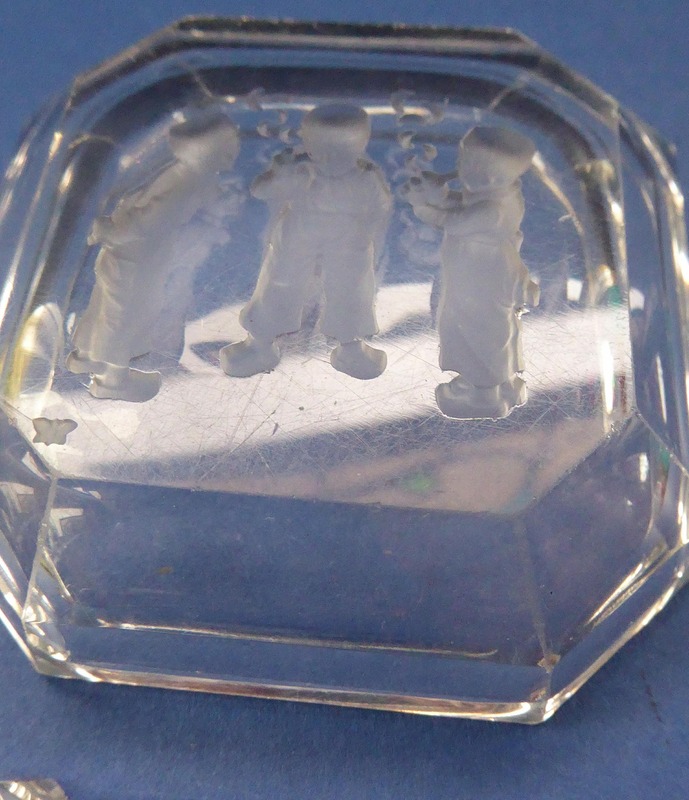 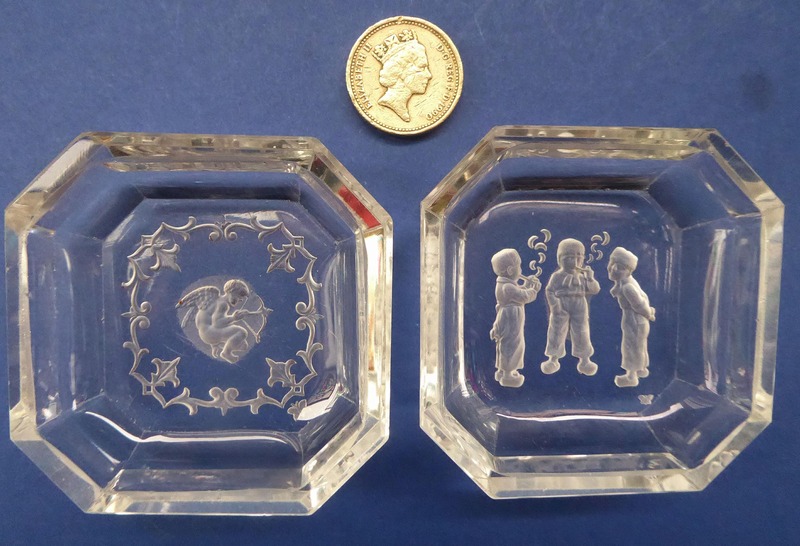 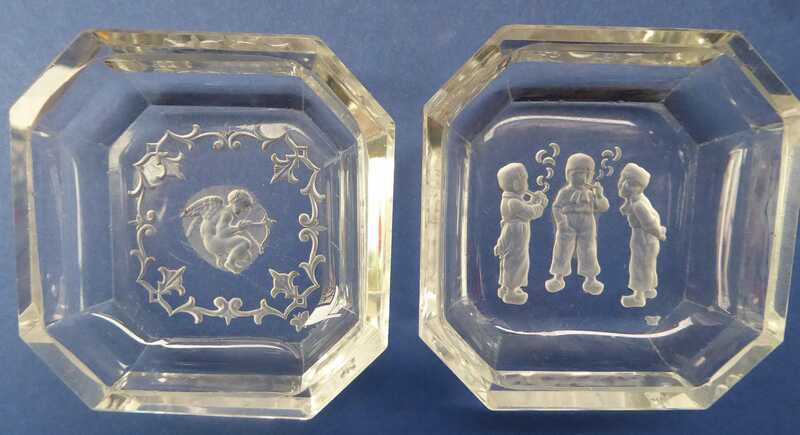 On offer is this pretty pair of little 1930s Czech intaglio glass pin dishes. 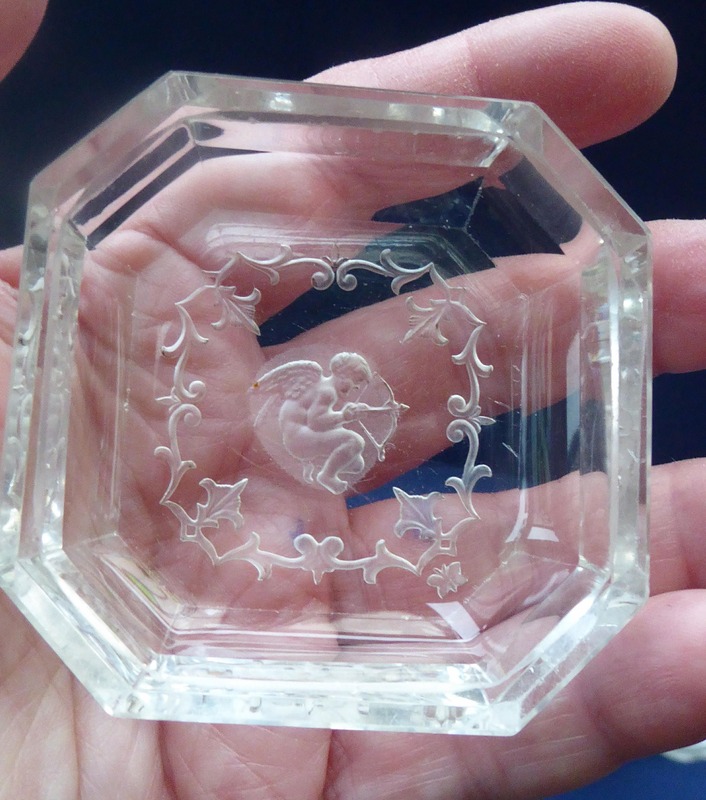 They were made by Heinrich Hoffman (1867 - 1939) and each little dish is marked with his tiny butterfly signature. 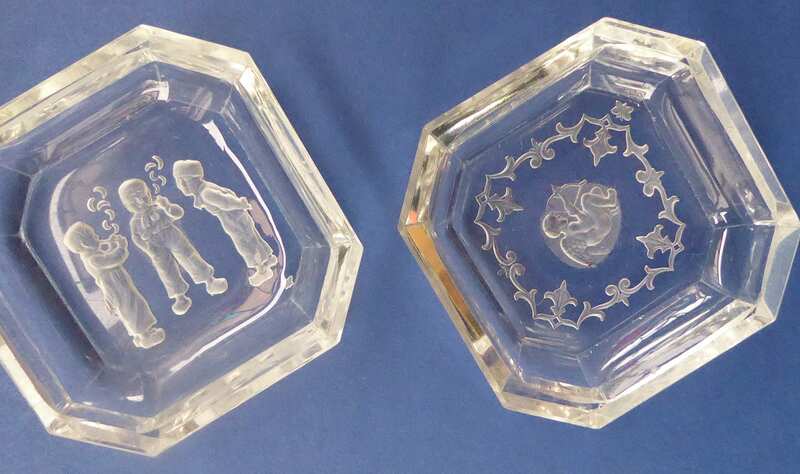 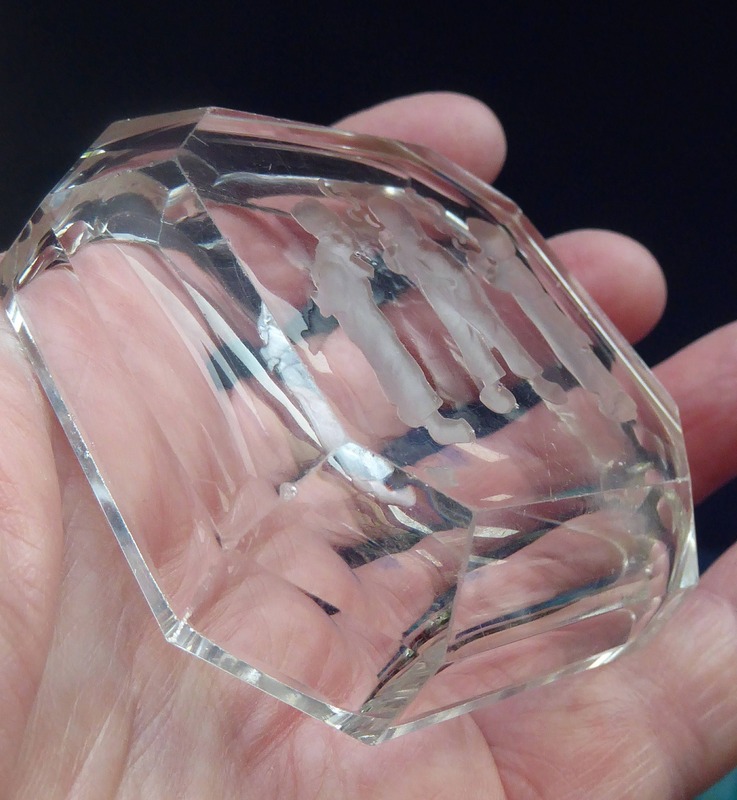 The quality of his work is such that such pieces are often mistaken as being by Baccarat. 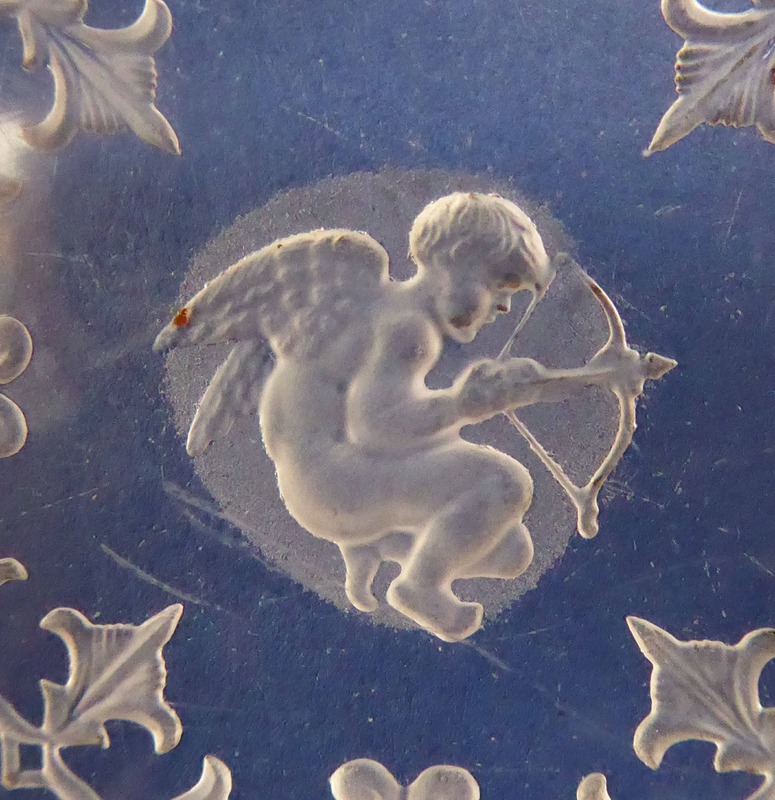 Each little dish is in good condition with no chips or cracks, some tiny surface scratches on the Cupid one - but very fine and only really noticeable on close-up inspection. 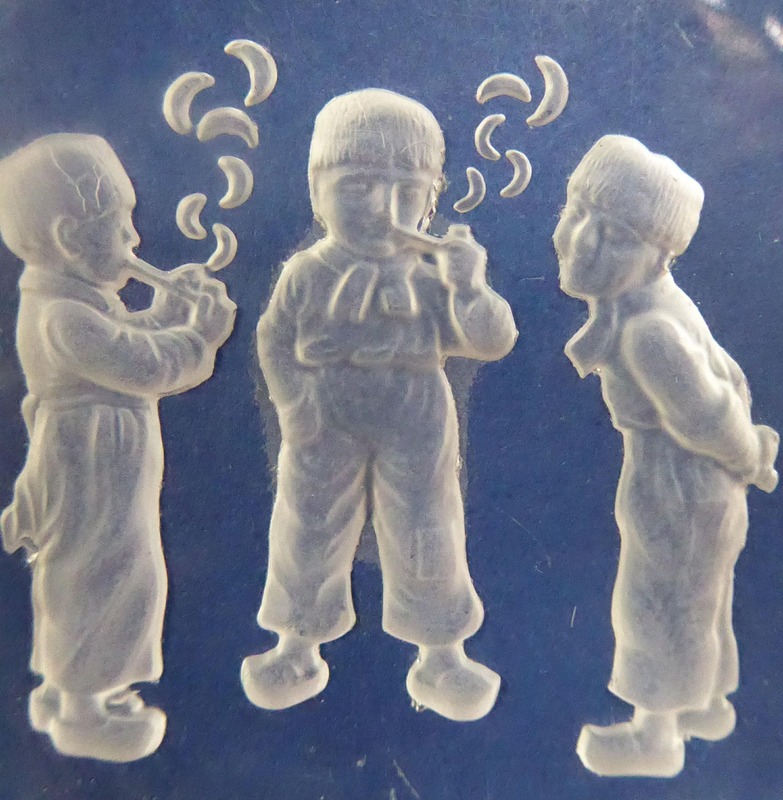 The first one features a little cherub or cupid with his little bow - he is surrounded by a decorative border - the second one shows three cute little Dutch boys smoking pipes. 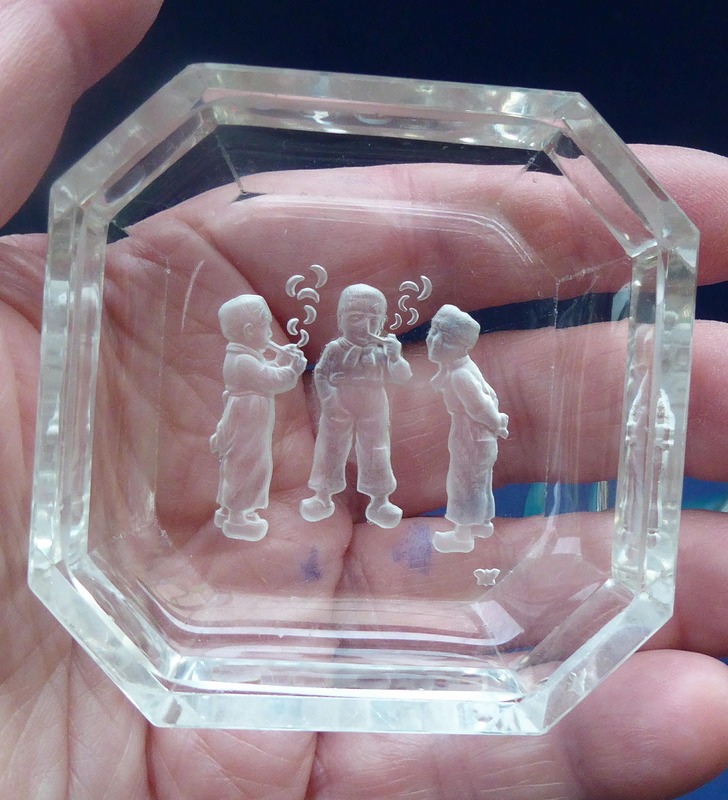 Each is 6.5 cm square. 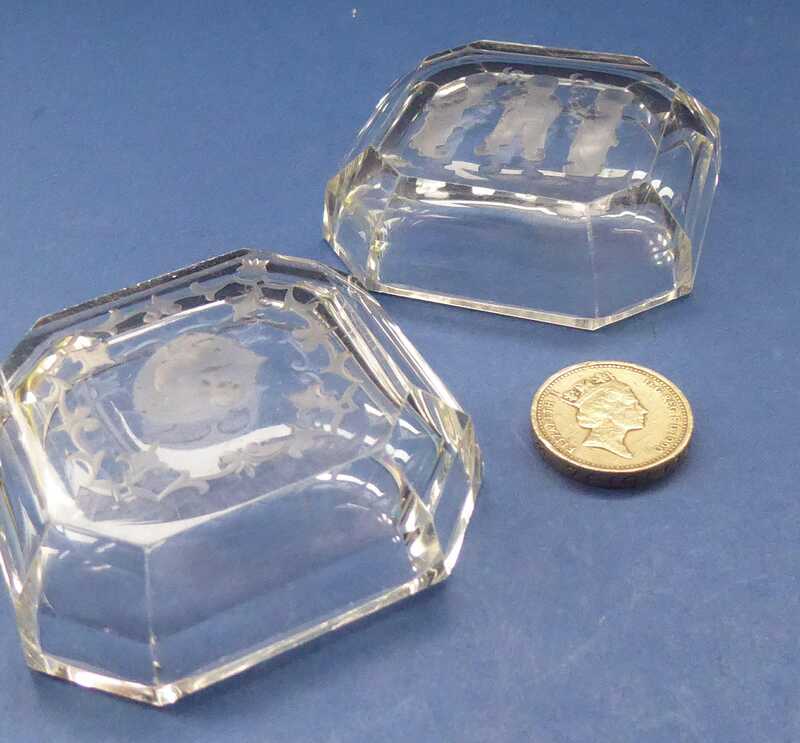 A lovely and collectable pair of little Art Deco Czech dishes, and listed at a very fair price.